Michael Bérubé is Edwin Erle Sparks Professor of Literature at Pennsylvania State University, a former president of the Modern Language Association, and a member of AAUP’s Committee A on Academic Freedom and Tenure. I was recently in Washington, DC for the fall 2015 meeting of AAUP’s Committee A on Academic Freedom and Tenure. 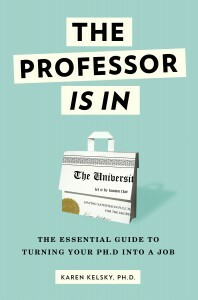 AAUP stands for the American Association of University Professors. ** Discussing updates on the dismantling of tenure in the Wisconsin system– and getting a report on just how badly rigged the University of Iowa’s farcical presidential search was. Also, going over the first draft of Committee A’s report on Title IX and academic freedom, revising the Association’s policy barring “collegiality” as a criterion in faculty evaluation, and discussing the Association’s defense of due process for contingent faculty members. And much, much else in the course of a two-day, ten-hour meeting and a working dinner. I got to thinking, as I often do, about the dwindling number of AAUP members who are not in collective bargaining units (a/k/a “advocacy” members). I am always absolutely stunned, stupefied, and gobsmacked by the overwhelming number of my academic friends and associates who are not members of the only organization that defends academic freedom. Including, most amazingly, thousands of faculty members at universities that are under ferocious political and economic assault. Wisconsin, Iowa, and North Carolina, I am looking at you. It is so, so, so depressing. How depressing, you ask? It makes me want to give up and go home depressing, that’s how depressing. I’m not giving up and going home, though, because if I do I will not be able to face John Dewey in the afterlife when he asks me what I did to defend the academic freedom he helped to define. Over the years I have heard four varieties of complaint from people trying to justify their refusal to join AAUP. One: it is an antiquated, elitist association devoted solely to defending the rights of a small handful of tenured professors, ignoring three-quarters of the professoriate– the new faculty majority of contingent labor. This is just totally and completely untrue, as this handy compilation of AAUP resources on contingent appointments will show. Two: the dues are too damn high. For many years this was totally and completely true. Dues were flat fees around $180, and some states and chapters charged fees on top of that. $180 is just way too high for contingent faculty, graduate students (yes, graduate students can join! ), junior faculty, and most underpaid faculty generally. But now the AAUP has a progressive dues structure. Dues start at $58, and nobody making under $50,000 pays more than $8.08 per month. $8.08. That’s a lunch from a food truck, once a month. And not even the most awesome food truck will defend your academic freedom. Three: in the past, most notably in the McCarthy era, the AAUP has dropped the ball, failing to do precisely the thing it was founded to do– defend the academic freedom of controversial faculty members. Also true, as openly acknowledged and discussed in this powerful report from 2011. But the McCarthy era was quite a while ago. Here in the present, the AAUP position on politically controversial professors was critical for our defense of Steven Salaita and our censure of the University of Illinois at Urbana-Champaign. And unlike the “resolutions” debated so hotly by disciplinary associations, AAUP censure actually matters. When I led the investigation of layoffs and program closures at the University of Northern Iowa in 2012, the threat of censure was what brought the administration back to the bargaining table with the faculty union. Read that last bit again: unionization did not protect the UNI faculty from layoffs and closures. The same was true at the University of Southern Maine, where I led an investigation in early 2015. Four: OK, OK, the AAUP has great policies on the due process rights of contingent faculty members, the dues are reasonable, and the McCarthy era was quite a while ago. But the AAUP still doesn’t do enough. There are all kinds of injustices and outrages to which it does not respond. Let me go back to the absolutely stunned, stupefied, and gobsmacked part of this post. There are 1.5 million faculty members in the United States. There are just over 40,000 members of the AAUP, and if you subtract the number of members in collective bargaining units, you get fewer than 10,000 “advocacy” members. The organization is ridiculously, scandalously small, and it has only the number of staff it can afford. That number, too, is ridiculously, scandalously small. The faculty members on AAUP committees, and the faculty members who conduct AAUP investigations, do all their work pro bono. We are operating on a shoestring. And yet we don’t ask whether people are members, or whether a campus has a chapter, before we take cases or do investigations. We try to represent and defend the entire profession. Merciful Moloch, I honestly don’t know how the AAUP gets as much done as it does. So if you are complaining that the AAUP doesn’t do more, you can help fix that. Join. Form a campus chapter. This organization should be ten times the size it is now– and even then, it would consist of less than one-third of the professoriate. It will cost you a few bucks a month, but you will be able to face John Dewey in the afterlife. *Michael posted a version of this on Facebook; I saw it there, and asked if he’d be willing to expand it a bit for The Professor Is In. He kindly agreed. These may have been the justifications given, but in reality this is just a simple collective action problem. The AAUP is known for reacting to extreme situations, so generally there is very little immediate benefit for membership and not at all of the type for which I’d actually pay a little money (tenure track job, course releases, research assistants, greater compensation). It’s far easier to free-ride. This is why many labor unions, like the one in which I was a member in high school while working at a grocery store, which had compulsory membership upon employment. You’re probably better off selectively and even secretively recruiting small numbers of vanguard members and key “battleground” institutions, using attractive personal benefits to secure their memberships and efforts, and infiltrating key positions if you really want to shake things up. In other words, use guerrilla tactics. Of course, that’s just my take as a student of counterinsurgency and civil warfare. Amen to that, Jeremy. Despite our numbers, contingent faculty receive little practical advice for remedying our situations, and we still have no organization devoted solely to us and our shared predicament, one that would promote solidarity and effect change. There are blogs and message boards for whining (The Chronicle’s Adjunct Project comes to mind), but these have no effect on the reality of our situation. I would love to be proven wrong. I long to escape my academic limbo. “so generally there is very little immediate benefit for membership and not at all of the type for which I’d actually pay a little money (tenure track job, course releases, research assistants, greater compensation). It’s far easier to free-ride.” With that kind of attitude, we’ll accomplish nothing. If you form a strong local chapter, you can accomplish a great deal–from getting jobs back for people, increasing their job security, saving a university press (I know about these things. I’ve seen them work). If, on the other hand, there’s no support for solidarity, and everyone’s out for a free ride, nothing will change. I began a new blog at grammyprof@wordpress.com because it is lonely trying to fight for my promotion, after being rejected, but AAUP is stepping up to the plate. Representatives are always willing to listen and do a bit of hand holding when necessary. Please go to my webpage and read my story. Far too many women and minorities are being passed over for promotion and we need all the help we can get–from AAUP and each other. Thanks!